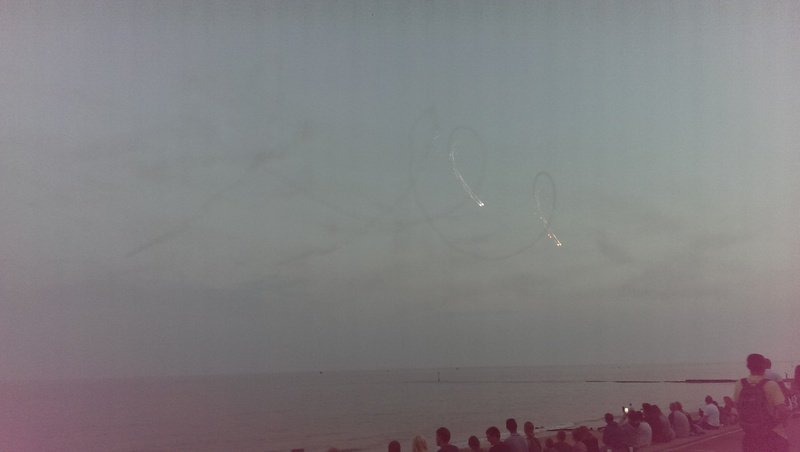 Being a Southender, it had been a few years since I’d seen a seaside airshow display. Growing up, hanging out on the seafront with some tinnies to watch the airshow was a traditional activity, and as a child I’d seen Harrier jump jets and Concorde do their thing along the River Thames. I missed the day time events of this year’s Clacton Airshow, as I was recording elsewhere, but I headed into town to catch the night time display. 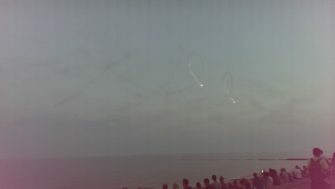 It turned out to be rather spectacular, with both pairs of aircraft in the Twister Duo loaded with fireworks which were deployed after a few introductory somersaults, much to the amazement of the crowds. If that wasn’t enough for you, the whole event was soundtracked by BBC Essex Radio.